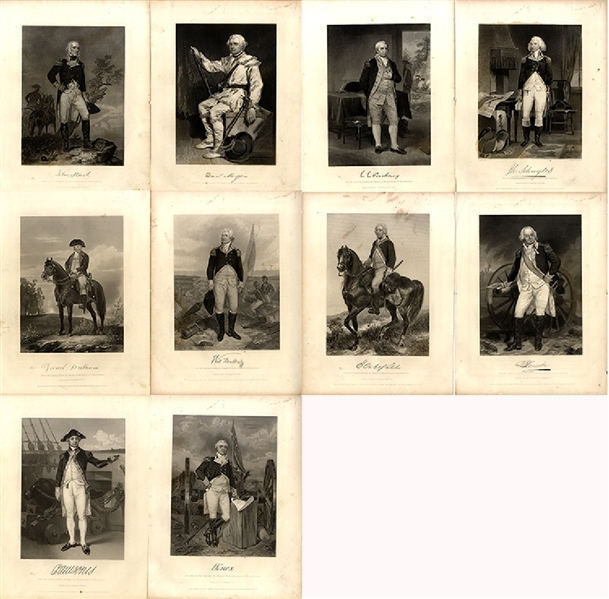 each 8” x 10-1/2”, with facimili signature to include: Dan Morgan, Paul Jones, John Stark, C.C. Pickney, Ph. Schuyler, Isreal Putnam, Will Moultrie, H. Carlel, B. Lincoln, H. Knox, and Henry Lee.